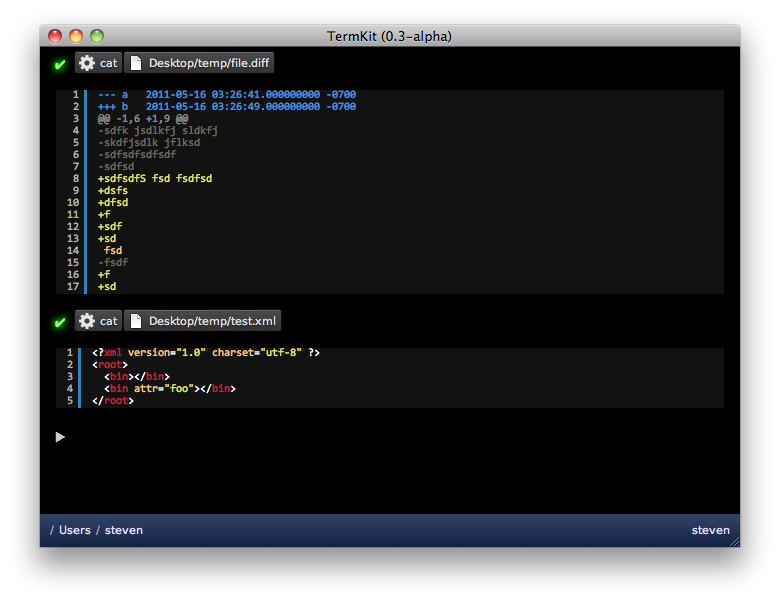 GitHub - unconed/TermKit: Experimental Terminal platform built on WebKit + node.js. Currently only for Mac and Windows, though the prototype works 90% in any WebKit browser. Want to be notified of new releases in unconed/TermKit? Built out of WebKit and Node.js. 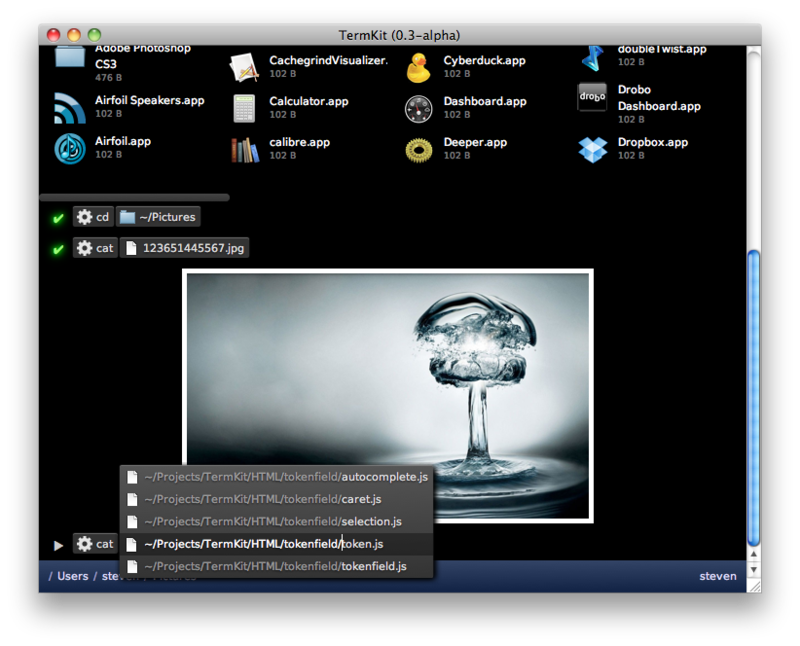 Runs as a desktop app on Mac, Windows and Linux, and can be hacked into any WebKit browser (Chrome, Safari). Follow TermKit on Twitter for the latest news and updates. Warning: Alpha version, still under development. Nothing works yet. ...Web application. It runs as a regular desktop app. ...Scripting language like PowerShell or bash. It focuses on executing commands only. 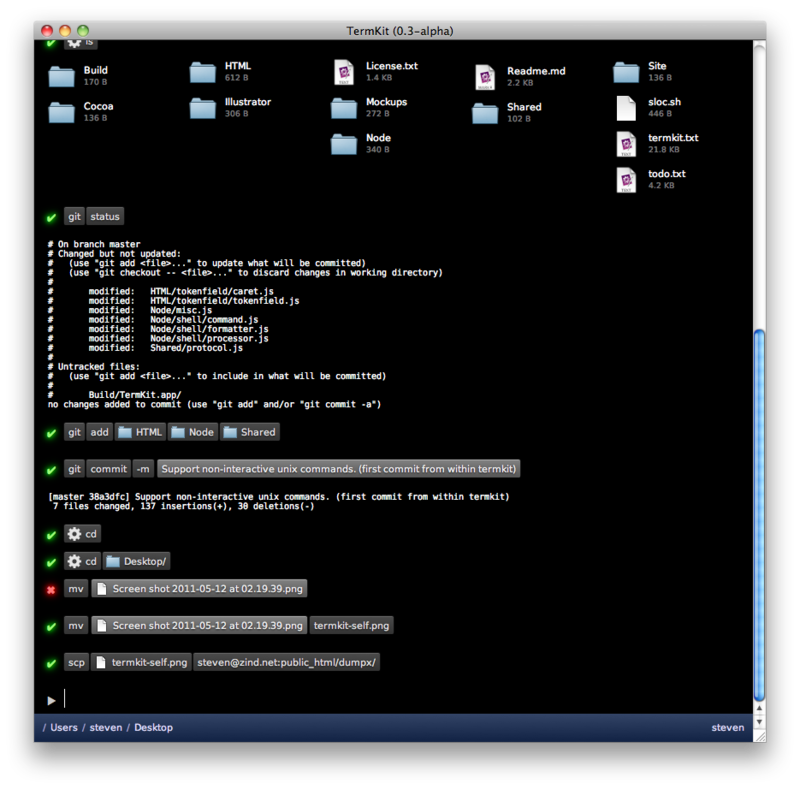 ...Full terminal emulator. It does not aim to e.g. host 'vim'. ...Reimplementation of the Unix toolchain. It replaces and/or enhances built-in commands and wraps external tools. Unfortunately, TermKit currently requires some assembly. Install the Mac development tools (Xcode and friends). Tip: Press ⌥⌘C to access the WebKit console. TermKit by Steven Wittens (@unconed). Windows port by James Rhodes (@hachque). Linux Python/GTK wrapper by Lucas S. Magalhães. “NSImage+QuickLook” by Matt Gemmell (http://mattgemmell.com/source).